Using patented and proprietary alloys to develop products that are light, durable and corrosion-resistant, we are the leading innovators in protection, healthcare, environmental and specialty cylinder technologies. For more details, please see our product applications. 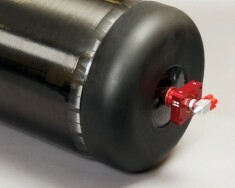 Luxfer’s G-Stor Go Type 4 composite cylinders for compressed natural gas are available in an extensive range of sizes suitable for medium-duty and heavy-duty vehicle fuel systems. Based in Sao Paolo, Brazil, Tadeu is now responsible for selling Luxfer Gas Cylinders products, cultivating customer relationships and seeking new business opportunities in Central America and South America.